On Saturday, we went urban-lumberjacking again. On Monday, Fish flew out to his new home in Land-o’-lakes Florida. 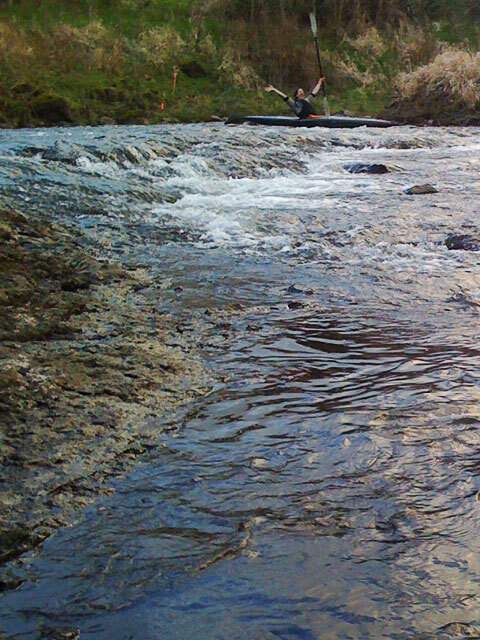 Between those two, I found some time to do a little paddling. Jamie and I went to the Elk Rock Island dock that is about 5 minutes south of my house. When you launch here you have two good options. 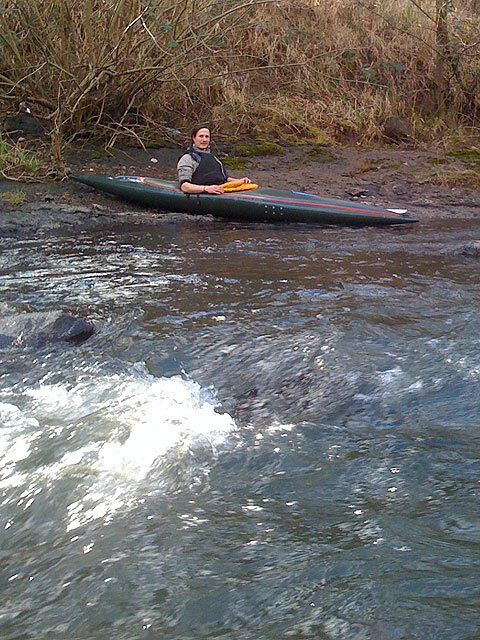 Head south, toward Willamette falls the clear waters of the Clackamas river (7 miles). Turn north, toward OMSI, the bridges and the brown waters of downtown Portland (7 miles). 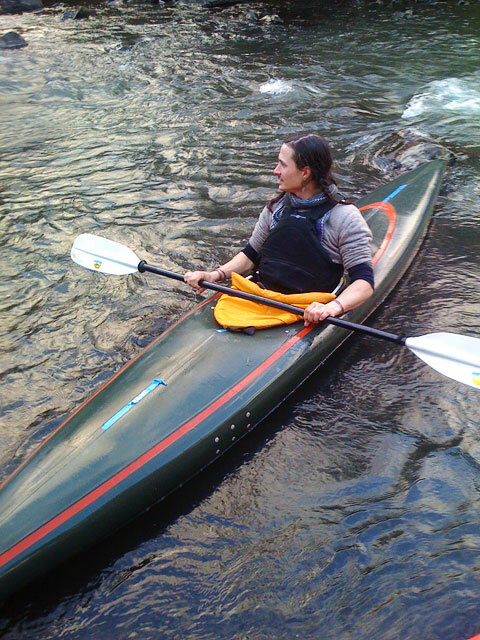 Instead (for some strange reason) we choose to paddle up the tiny flow that is Johnson Creek. This trickle flows through SE Portland and is notorious for yearly flooding. Near my home, it joins up with the Crystal Springs and becomes an actual stream. At the mouth it is about 20ft wide, but as we found, it quickly narrows and could easily be jumped in places. 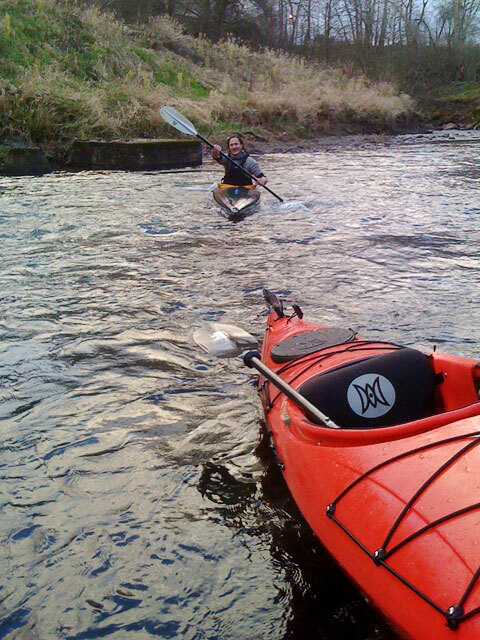 It is also very shallow at many of the “rapids”. However, this increase the fun as we tried to crawl up them. 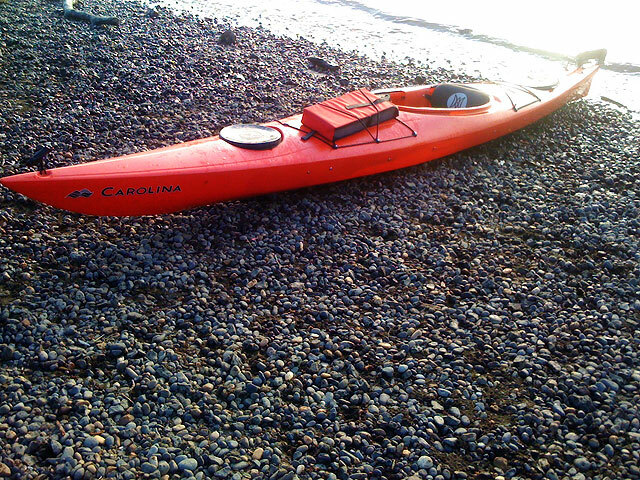 My only regret is that I banged up my carbon-fiber paddle when pushing myself up river. 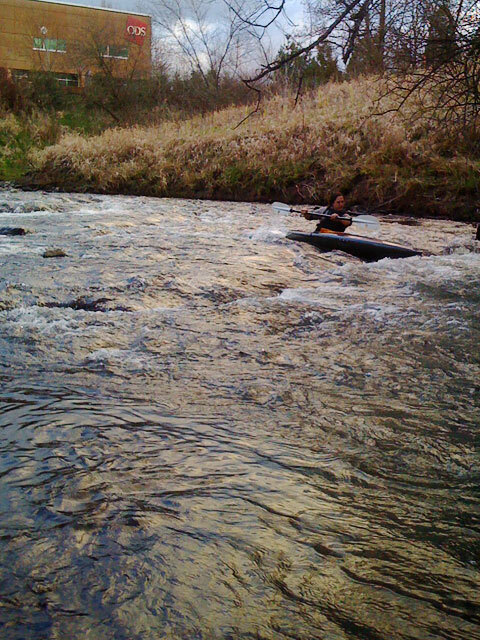 Trying to take a sea kayak up a shallow creek. Good work.